I first discovered the Taga pram back in December 2008 and have been following it closely ever since. I love the idea of a pram that converts into a bicycle and back again – very ‘Jetsons’, if you ask me. 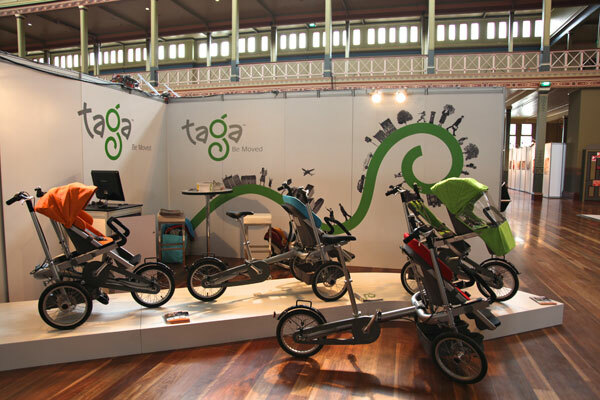 I’m really excited to say the Taga is now available in Australia and I was at The Baby Show in Melbourne last week for the launch. It’s a very impressive product up close and is priced at $2800 plus $300 for an extra seat. 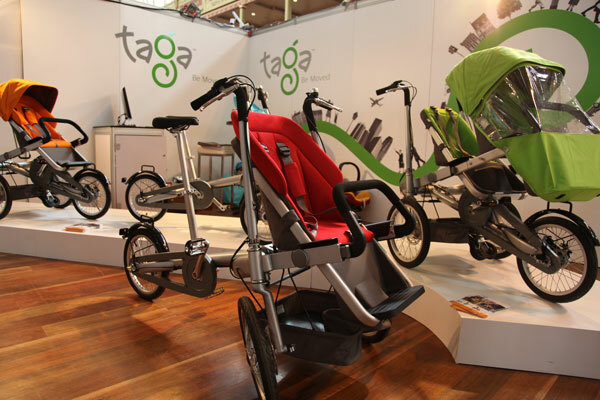 Order the Taga through the Australian website as there are no plans currently for local stockists.